The Forma™ Full Face Mask forms a superior seal and provides even more comfort with a greater range of movement through the active contouring of its new under chin FlexiFoam™ Cushion. 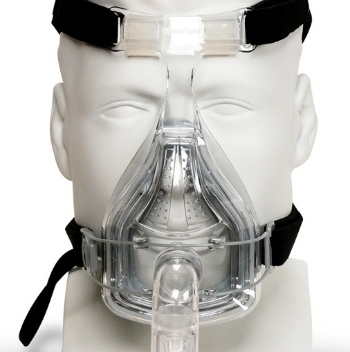 Fisher & Paykel Forma™ Full Face CPAP Mask is the third generation of Full Faced masks. It forms a superior seal and provides even more comfort with a greater range of movement through the active contouring of the new FlexiFoam Cushion. A new padded T shaped forehead support adds stability to the mask base, and works in harmony with the highly contoured Silicone Seal and Under-the-Chin design to enhance your sleep performance. The new Fisher & Paykel Forma™ mask offers an improved seal and a more comfortable fit due to the interaction between the new and improved FlexiFoam cushion and the patented Under-Chin Design (as seen in the FlexiFit™ 431 and FlexiFit™ 432). The inner foam cushion helps contour the mask to a wide range of faces and promotes optimal frame alignment. The outer silicone seal allows for a leak resistant surface and is soft, light and features advanced active contouring that conforms naturally to the patient's face. 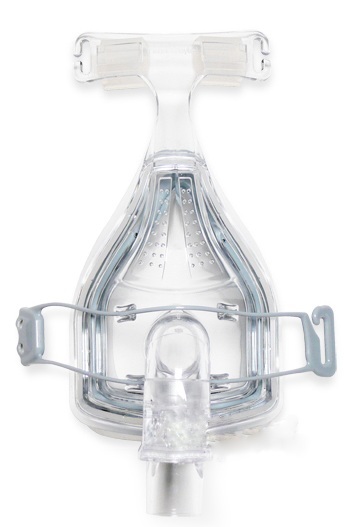 With its ease of use, superior conforming silicone seal, and the FlexiFoam cushion, the new Forma™ Full Face CPAP mask sets a new standard.The Forma™ Full Face CPAP mask comes fully assembled and ready for use out of the box. Easy to clean, easy to use, with replacement parts available. • FlexiFit Technology with Auto-contouring design includes the new FlexiFoam cushion. • FlexiFoam Active-Contouring Cushion - Greater comfort using a soft, lightweight and supportive foam. • Easy Release Headgear Cord for one-step removal. • Crown Strap with the 4 point headgear provides additional support. • New padded T shaped forehead support - provides added stability and comfort. • Advanced Bias Air Diffuser.